Imagine yourself in 5 years looking younger than you look right now. That is a reality that we ALL would love, am I right? Reversing aging and actually improving your skin – not just the surface layer but on a deeper level – almost sounds too good to be true. We’re happy to share that research shows that changes CAN occur in the actual DNA of the skin cells that makes them behave like younger cells. Read on to learn more about what HALO and BBL can do for you. 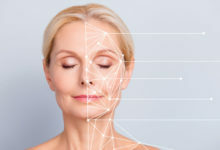 Having healthy-looking skin can help you maintain a youthful appearance, but there are a host of aesthetic concerns that you may face as you age. For some people, it’s sun damage and brown spots. For others, it’s a red or flushed appearance or broken capillaries. Whether you notice these signs of aging on your face, your arms, your legs, or another area of your body, restoring even-toned skin can make a dramatic difference. BBL treatment can offer this change. Furthermore research done by Stanford University School of Medicine has shown an actual, deep-seated change that literally reverses years of damage does happen. All of this with no downtime, too! The Halo is the world’s first hybrid fractional laser. It simultaneously delivers non-ablative and ablative wavelengths in a single pass over the skin. Especially noteworthy, the ablative laser is one of the most effective treatments for improving the signs of aging. By removing the outer layers of damaged skin, the skin is forced to heal, increase collagen production and restructure, making way for tighter, rejuvenated skin. In addition the Halo Hybrid Fractional Laser focuses energy on the deeper collagen layer of skin leaving the surface of your skin largely in tact for a quicker healing time. It delivers the results of an ablative procedure with little-to-no downtime, like a non-ablative treatment. As a result you get the best of both worlds! In the past, you had to choose between a procedure that offered really great results but required a lengthy recovery, or a procedure with a fast recovery but marginal results. Now with HALO, you get the best of both worlds: great results with minimal downtime and customization to fit different needs. In conclusion, these two treatments pack a solid punch and when you combine them, the results are remarkable! Don’t miss our New Year, New You special happening NOW through 2/28/18 where we are going to offer a FREE BBL* treatment to any patient who schedules a HALO treatment. Aren’t you excited about these options that we have for improving skin? 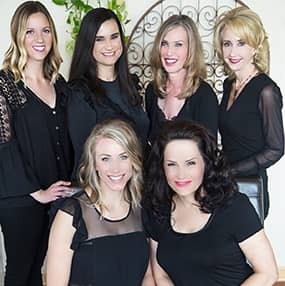 We simply love seeing our patients get their glow on and restore a more youthful look. We can almost see the confidence boost on their faces and that’s so meaningful for us. Thank you for trusting us to take care of your skin. We love our jobs!